Do You Know the Way Your Staffy Drinks? All the dog owners saw their pets drinking. And there is seemingly no secret about this simple mechanism. However, if you do a double take you`ll find out, that dog`s mouth becomes an ideal construction, that creates this amazing process! When you look at your Staffy drinking water it seems to you that there is no certain scheme in this process. The dog just tries to "lick" the liquid and gargles. It appears that if a human being started drinking from a bowl he would do the same. However, it`s not the case! Dog drinking is an amazing process being created the very nature. Besides, cats and dogs drink in a different ways. 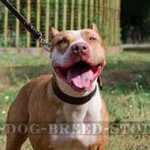 Staffy has a quite long, wide, but thus soft and very elastic tongue. So, the dog curves it invertedly and almost doubles it when drinks. 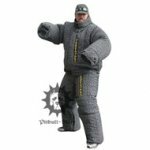 Thus, Staffy forms a deep capacity like a bailer. 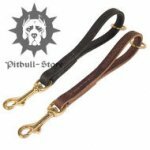 Such a construction gets much water and sends it into the dog`s mouth at each water immersion of the tongue. It`s a real wonder, but the process doesn`t comes to an end at that! Probably, everyone who watched the dog drinking had also heard a noisy gargling when it did it. 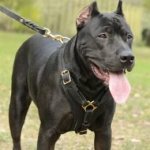 And all these sounds appear not because your Staffy is careless, but when the dog is chunking in water with its tongue it forms a water gage, a part of which it simply "bites off" and sends it to a mouth too. 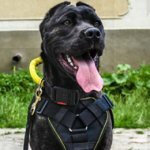 Thus, Staffy not only bails water with its large bailer-tongue, but also swallows a part of that quantity of water which is formed under its chin when it drinks. In other words, the dog swallows almost twice more liquid, than you may seem at first sight. As you see the process of dog drinking is more complicated than meets the eye. 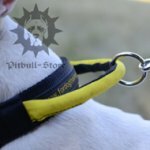 But if you think that it`s impossible to walk with your Staffy for a long time without having an opportunity for him to drink because of inconvenient dog muzzle - that`s not so! 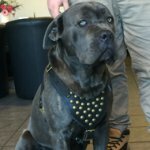 Our best experts took care of your pet and designed a special wire dog muzzle that allows your dog to drink and even to eat dog treats during a walk! 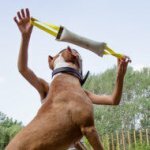 Your Staffy Can Drink with This Wire Dog Muzzle! 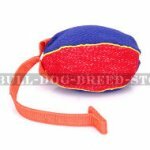 As you see this basket muzzle is well ventilated and allows your Staffy to feel comfort and to breathe and to chew freely. Don`t worry, wire muzzle you see on the photo is absolutely safe for your dog. Paddied nose area with soft felt will prevent rubbing. 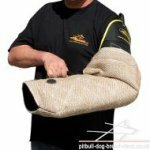 Be sure, your Staffy won`t feel any discomfort and will always be able to drink with this wire dog muzzle! 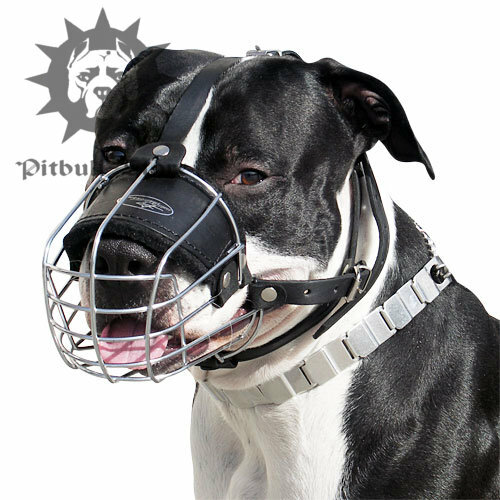 If you want to learn more about this basket muzzle, please, click here. 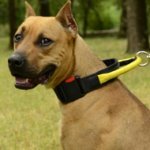 See also our article about different dog muzzles.